The Miniature Garden Society | Putting resources, inspiration and information into the hands of miniature gardeners. and shortage of understanding of gardening in miniature hobby? Do you keep killing plants? 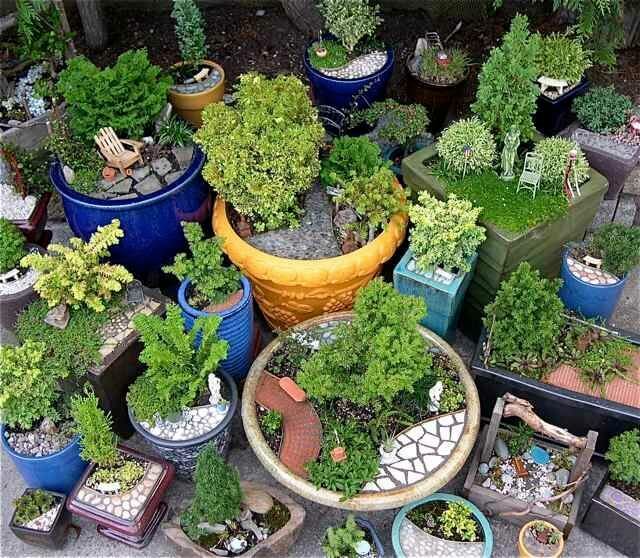 Do you want to find more choices for your miniature gardening? Do you want to find people to share your love of gardening with miniatures? Do you want to connect with like-minded people who understand your passion and desire? Do you want someone that you can ask about YOUR particular projects or ideas? Someone who can answer your questions directly and honestly? We understand you, our fellow miniature gardener, because we’ve been there too. 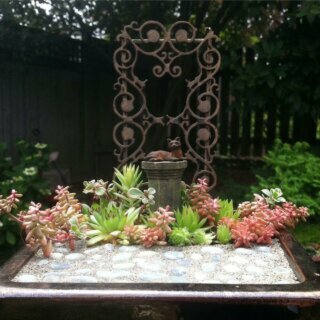 <~ I’m like you and have built miniature gardens that have died within the season. My time, energy and money wasted by not knowing the simple rules of gardening in miniature. <~ Like you, I get too busy sometimes and let it go to the weeds. 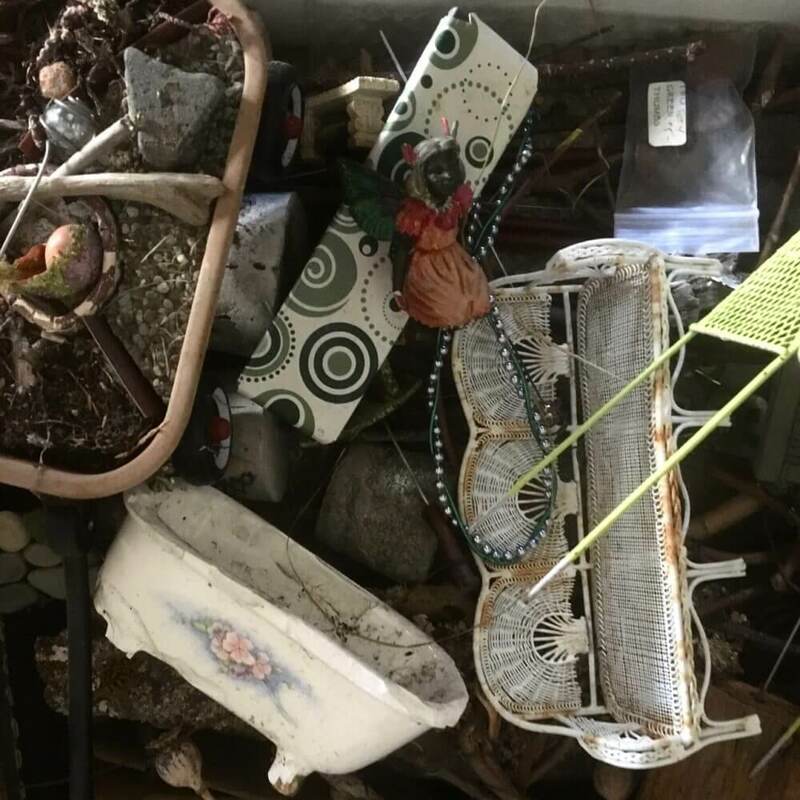 *Finding out what makes the chores easy is one of the things we focus on at the Miniature Garden Society – so you have more time for the fun stuff! ~> As leaders in the miniature gardening industry, we’re tired of fluff-filled websites with no valuable information that are just out for the advertising revenue. ~> As innovators in our in field, we disrupt the way things are done to create endless new possibilities for what could be, rather than doing the same old thing. ~> As people, like you, who love to garden, we want a safe place to go to and a community of other like-minded enthusiasts we can have real conversations with, and not just look at pretty pictures on Pinterest. ~> As creators, we use the art of gardening in miniature as our creative outlet which allows us to not only have our own fun, but it gives us a way to share our love and joy with the rest of the world – which can only spread more love and joy! ~> As explorers in this new hobby, we are curious to find out what worked well for the living miniature gardens, so we can dig deeper into our creativity, instead of just experimenting willy-nilly and wasting valuable time and money. ~> As gardeners, we value Mother Nature in all her glory. We love our gardens, large and small, because it keep us grounded, keep us growing and it’s a way to connect us to the rest of the world. ~> As miniature gardeners, we love to share nature’s details and mysteries with one another, no matter how small, because we understand how meaningful those little moments can be. – We’ve watched garden centers and gift stores quickly jump on this trend, fill their store shelves with chunky furniture and cheaply-made miniatures for this new hobby and yet, not one other company is digging as deep as we are to TEACH people what works and what doesn’t! So this is for YOU, our fellow miniature gardener. – We’ve witnessed made-in-China manufacturing and distributors companies making enormous sums of money from this hobby by just selling the cheap tchotchkes, leaving you with doubt and uncertainty of how to put one together, how to choose the plants, how to grow a garden or even how to start! Yes, miniature gardening is our business too, but WE CARE about helping you get the most out of this wonderful hobby! Yeah, it’s not the most profitable business model but we prefer to empower YOU and put people above profits. – We’ve watched video after video of how “garden experts” and talking-head-promoters put together miniature gardens and fairy gardens with the WRONG plants and trees, shove a resin house in it, throw down some gravel and call it “a miniature fairy garden.” They trick you into thinking those plants will work and that’s just wrong. They’ve been sponsored to flog those plants instead of showing you what plants do work. So, you waste your money, you waste you time, all while watching your wonderful garden become a complete mess within the season. These “experts” are doing it because they get paid by the sponsor or for the advertising revenue they get from your eyeballs and your clicks. We are not like them. We care because it’s OUR HOBBY TOO. 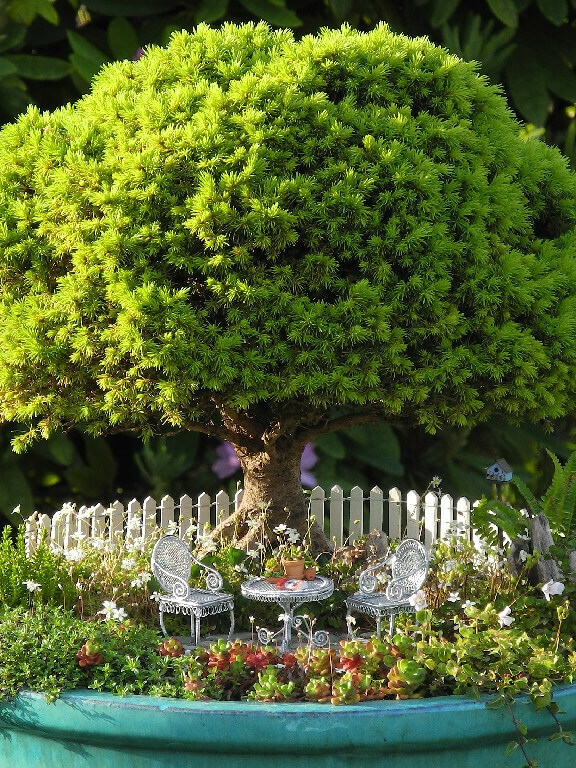 This Woman has the best ideas and her miniature gardens are by far the most realistic! She uses unique items and creations to create stunning and one of a kind art works. Watch her techniques for the most beautiful and lifelike mini gardens!! 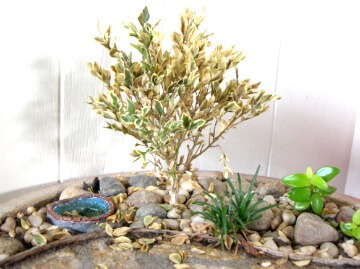 As a long-time home gardener, now a professional, who has dabbled in miniature gardening for years, I have to say that [you are] a fantastic source of accurate and consumer-friendly advice for anyone wishing to pursue miniature landscapes and fairy gardens as a hobby. [You] are my go-to source for information and their products are adorable! I am one of your biggest fans, you literally wrote the book(s), always one of our door prizes, on the subject! I aspire to walk humbly in your footsteps. Eternal thanks for the healthy plants, stellar customer service, and for sharing your ‘tiny’ vision with us! So, what’s going on inside this community of miniature gardeners? Here are just SOME of things that we’ve been up to. Connect with other like-minded people from all over the world! You can ask questions on any page or start a discussion in the forum! There is also a “coffee talk” forum for anything outside of the hobby too – for a little extra fun! 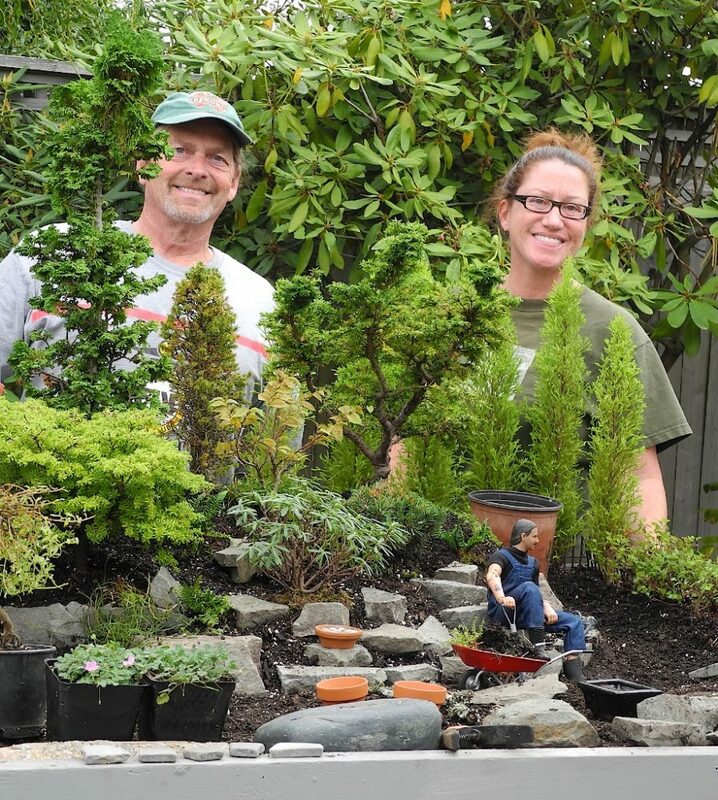 We know what works and what doesn’t from our 18 years of experience in miniature gardening. 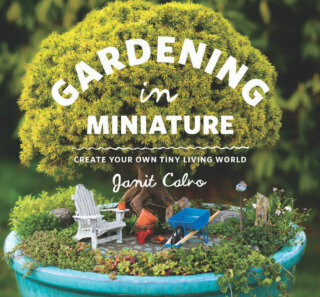 Get direct advice or feedback from Janit Calvo, the author of the two bestselling books on Gardening in Miniature! 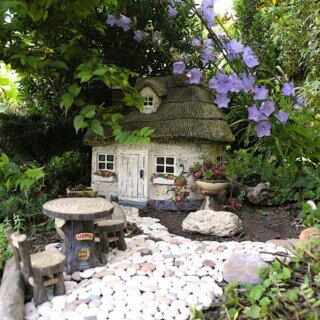 Find a miniature garden project for the afternoon or for the weekend – projects specifically for your miniature garden or fairy garden! We already have over 80 different themed-gardens in our gallery to inspire you… !! We’ve been growing miniature gardens for 18 years. We’ve been listening to other garden guru’s recommend plants for gardening in miniature that DON’T work for those 18 years too. We can help you choose the right trees and plants that stay in scale for many years. The Business Of - NEW! It’s a brand new market with an unusual business model that we’ve been testing and researching for years. We’ll tell you what didn’t work and what did, so you don’t have to spend your time, energy and money on dead-ends too! We are tree-huggers and pro-environment, we can show you how to reduce, reuse and recycle your miniature plants, accessories, patio material and your containers to save you time and money! Standing Discounts! All members get 15% off anything in our online stores at anytime! TwoGreenThumbs.com & Janit’s Etsy store. I have asked certain ‘experts’ for advice in this field ( garden centres and online.) It’s frightening how many people claim to be experts and could totally put newcomers to miniature gardening ( such as myself only 2 years in now,) completely off this fascinating and wonderful new hobby. I have been disappointed so many times (not ever wanted to give up, but felt very disheartened and disappointed with advice & purchases!) I will just stick to your books Janit – my only bible and all I really need is between the MGS, your website & your books, it’s a complete package of correct information! – The plants that you chose after watching that “expert” on Facebook grew-out of the pot within the season. 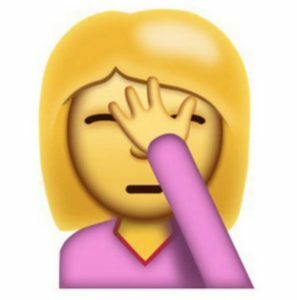 – The design you copied from that “expert” was so over planted, you lost plants within the month. – The pot you chose faded quickly in the sun or froze in the winter. – Some of the accessories fell apart when they got wet. – The store-bought patio faded fast and looks horrible now. – Some of the plants did okay but they have over grew out too fast and need replacing within the season. – Some of the accessories are okay. – That silly, store-bought resin patio faded despite treating it the UV spray. – The whole garden has sunken down into the pot and it doesn’t look right. – Still doesn’t look right. – Accessories don’t match in size now. – Stone gets washed away each time I water. – Garden is still sinking in the pot. – You CAN find plants work for your area & your situation – right away. – You CAN get help from directly from me, Janit – before you buy anything! – You CAN connect with fellow members in your area to see what works well for them. – You CAN find out which accessories weather well, which ones age gracefully AND which ones can be re-furbished! 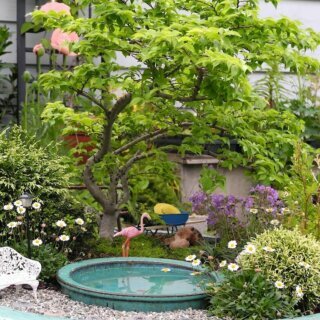 – You CAN achieve the enchantment you desire in your miniature garden. miniature garden hobby to make it more enjoyable ALL YEAR LONG. – AND a community so you can get even more enjoyment out of your hobby! – PLUS get a standing 15% discount to help you save money! You save time, money and energy! AND you don’t have to figure everything out from scratch! What a cool idea! Yes, I’m one of those Pinterest junkies you mentioned and yet I find some wonderful ideas here that I haven’t seen on Pinterest! Keep up the good work! and if you don’t care to stay, you get your money BACK. $6.25 PER MONTH IS BILLED ANNUALLY FOR 12 MONTHS AT $75 YEAR. You see, miniature gardening is not only a way to grow, play, experiment, plant, create, invent, dig deeper or garden differently, it is a way touch the hearts of people in ways that they never would have imagined. 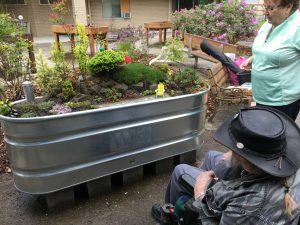 Take a look at one of our Miniature Garden Society outreach installations at the Old Soldier’s Home in Orting, Washington, that we built this past spring of 2017. 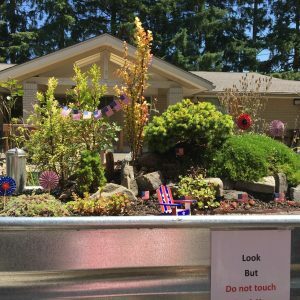 Our “Operation: Spark Joy” at this Old Soldier’s Home was a collaboration between the Miniature Garden Society and the Hill and Dale Garden Club – and it is a complete success! 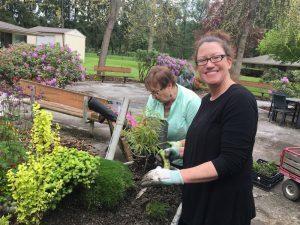 And by success, we don’t just mean the garden is growing and doing well, what we really mean by success is that the residents taking ownership of the garden, they are enjoying the daily maintenance, the seasonal changes and the laugh or three that they get connecting over the miniature garden! It was awesome. We’re looking to do MORE of this! This is where the Miniature Garden Society come in! 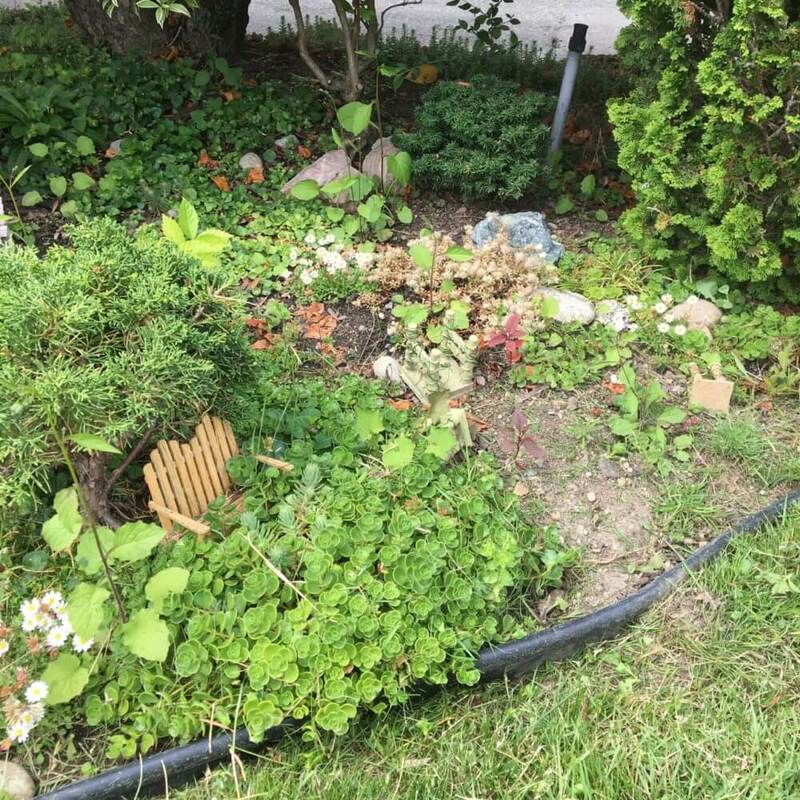 We’re looking to do more of these types of installations in senior’s homes, children’s hospitals and more veteran homes throughout the country as a way to deliver some garden therapy where it is needed most. As a member of this Miniature Garden Society, you will be a part of this by just being a member. If you want to do something like this in your area, we are here to help! to start ENJOYING your hobby? Or, do you want to keep surfing in Internet for hours to find the right answers and investing your money in the same ideas that everyone else has tried already? Your hosts, Janit and Steve Calvo are avid full-size gardeners too, based in Seattle, Wa. – Our Miniature Garden Center Store is America’s first and favorite since 2001. We started selling online with eBay in 2004 and moved to our own online store in 2006. AND we’ve had a popular “handmade” Miniature Garden Store on Etsy.com, since 2008. – We’ve published the world’s only blog completely dedicated to the art and craft of gardening in miniature, since 2007, The Mini Garden Guru blog here, followed by over 18,000 people. – We have the world’s largest gathering of miniature gardeners EVER, with now over 14,000 fans. – We publish the world’s only newsletter dedicated to the miniature garden hobby, The Mini Garden Gazette, with subscribers from all over the world, since 2004. AND, ICYMI – We wrote the bestselling books on the hobby! 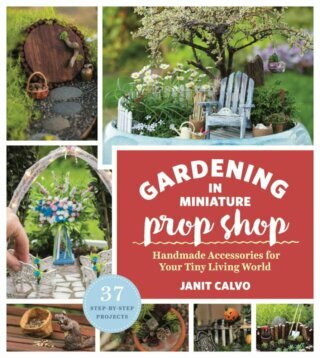 Gardening in Miniature: Create Your Own Tiny Living World has become THE primer for this new hobby AND Gardening in Miniature Prop Shop: Handmade Accessories for Your Own Tiny Living World is the ONLY craft book written especially for miniature gardeners! They are completely different and there are no two books like these books!! We now have a LIVE chat group! With your membership, you get access to our private Facebook group! It’s another way to connect with each other, see each other’s work, swap tips and get even more gardening insight! BUT – for even MORE fun, we’re doing LIVE videos every couple of weeks so you can “talk” directly to me (and sometimes Steve,) and get your questions answered! So, are you ready for something completely different? as we grow this hobby! OUR GUARANTEE – You have 48 hours to check out this exclusive Miniature Garden Society website. If you don’t care to stay, just let us know and you get your money BACK!